Living Room, Dining and Kitchen all open space concept. This Kitchen has all your cooking amenities, Kitchen, Dining and Living Room all Open Space Concept. 3-4 Bedroom 2 1/2 Bathroom, Sleeps 10. Located at 2525 11th St.; Community Shared Swimming Pool. 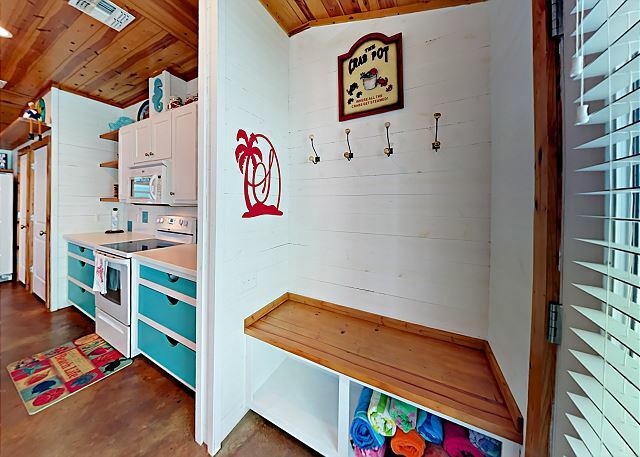 3-4 Bedroom 2 1/2 Bathroom, Sleeps 10. Located at 2525 11th St.; Community Shared Swimming Pool. 3-4 Bedroom 2 1/2 Bathroom, Sleeps 10. Located at 2525 11th St. Upstairs Entryway 3-4 Bedroom 2 1/2 Bathroom, Sleeps 10. Located at 2525 11th St.; Community Shared Swimming Pool. 3-4 Bedroom 2 1/2 Bathroom, Sleeps 10. Located at 2525 11th St.; Community Shared Swimming Pool. 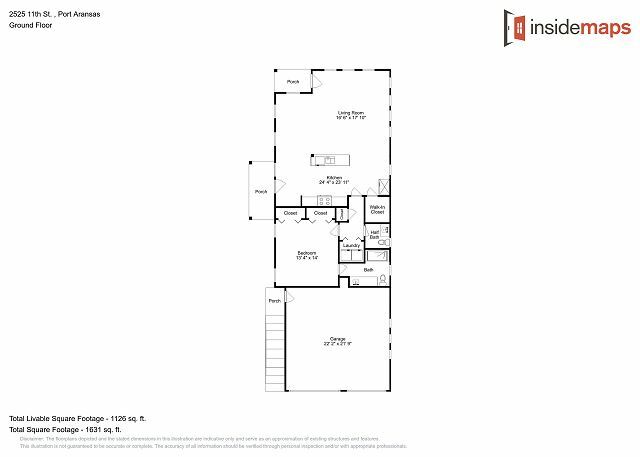 3-4 Bedroom 2 1/2 Bathroom, Sleeps 10. Located at 2525 11th St.; Community Shared Swimming Pool. 3-4 Bedroom 2 1/2 Bathroom, Sleeps 10. Located at 2525 11th St.; Community Shared Swimming Pool. 2525 11th St. Gated Community, Requires Gate Code to get in. 2525 11th St. Gated Community, Requires Gate Code to get in. Gated Community Required Gate Code. 2525 11th St. Gated Community, Requires Gate Code to get in. Community Shared Swimming Pool. Community Shared Swimming pool. Community Shared Swimming Pool. Community Shared Swimming pool. Walk way, Village Walk Grounds. Community Shared Swimming pool. Community Shared Swimming pool. Community Shared Swimming pool. Restroom by the pool. Community Shared Swimming pool. Village Walk Gated Community Requires Gate Code. Community Shared Swimming pool. Living Room, Dining and Kitchen all open space concept. Living Room, Dining and Kitchen all open space concept. Living Room, Dining and Kitchen all open space concept. Living Room, Dining and Kitchen all open space concept. Living Room, Dining and Kitchen all open space concept. This Kitchen has all your cooking amenities, Kitchen, Dining and Living Room all Open Space Concept. This Kitchen has all your cooking amenities, Kitchen, Dining and Living Room all Open Space Concept. This Kitchen has all your cooking amenities, Kitchen, Dining and Living Room all Open Space Concept. Dining Area, Kitchen and Living Room all Open Space Concept. This Kitchen has all your cooking amenities, Kitchen, Dining and Living Room all Open Space Concept. This Kitchen has all your cooking amenities, Kitchen, Dining and Living Room all Open Space Concept. This Kitchen has all your cooking amenities, Kitchen, Dining and Living Room all Open Space Concept. Kitchen, 3 Bar Stools for Extra Seating, Dining and Living Room all Open Space Concept. Dining Area, Kitchen and Living Room all Open Space Concept. Dining Table Seating for 10, And Bar Stools for extra seating. Half Bath Located in Down Stairs Hallway. 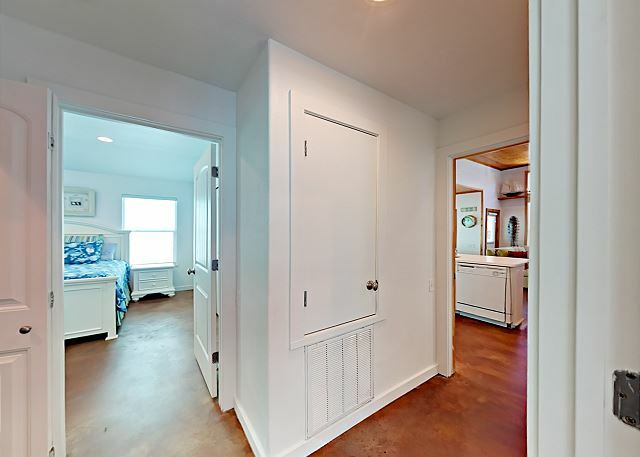 Master Bedroom Down Stairs With Private Bathroom. 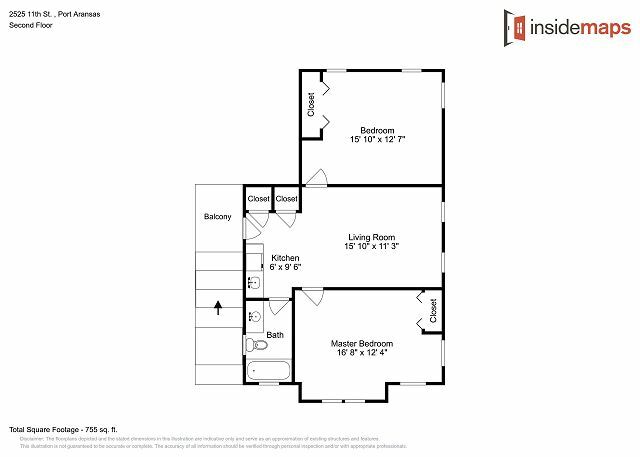 Master Bedroom Down Stairs With Private Bathroom. Master Bedroom Down Stairs With Private Bathroom. Master Bathroom Shower Only No Tub. Master Bathroom Shower Only No Tub. Hallway Washer and Dryer located in downstairs hallway. Washer and Dryer located in downstairs hallway. 4 Twin Size Beds, TV, Small Kitchenette Upstairs. Upstairs Bedroom with 4 Twin Size Beds, TV. Upstairs Bedroom with 4 Twin Size Beds, TV. Upstairs Bedroom with 4 Twin Size Beds, TV. Bedroom 4 Upstairs with small kitchenette. Small Kitchenette located upstairs. Small Kitchenette upstairs. Bedroom 2 has Queen Size bed located upstairs. Bedroom 3 has Queen Size bed, TV., located upstairs. Bedroom 2 has Queen Size bed, TV., located upstairs. Bedroom 3 has Queen Size bed located upstairs. Bedroom 3 has Queen Size bed located upstairs. Bedroom 3 has Queen Size bed, TV., located upstairs. Bedroom 3 has Queen Size bed located upstairs. Full Size Bathroom With Shower And Tub Combination. Village Walks Premier 3 bedrooms. this luxury 3 bedroom home with access to two community pools (which are heated during the winter months) that are just steps from the front door. True elegance and pure fun combine to make this vacation getaway one to remember. 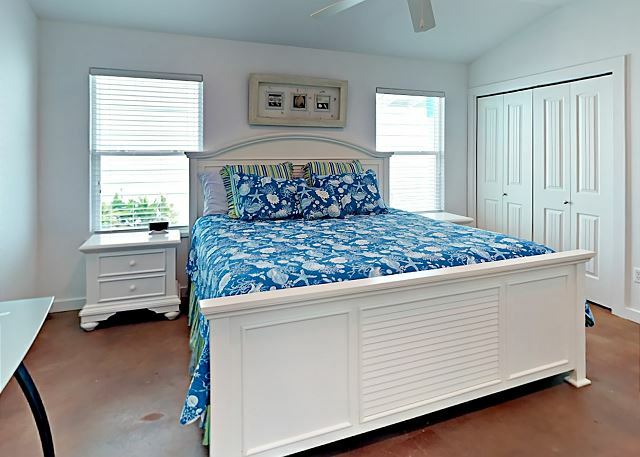 Five Star furnishings, all the comforts of home in Port Aransas. Lounging outdoors fun for the whole family. Downstairs offers a Texas-size open living area with plush seating and a large flat screen TV. 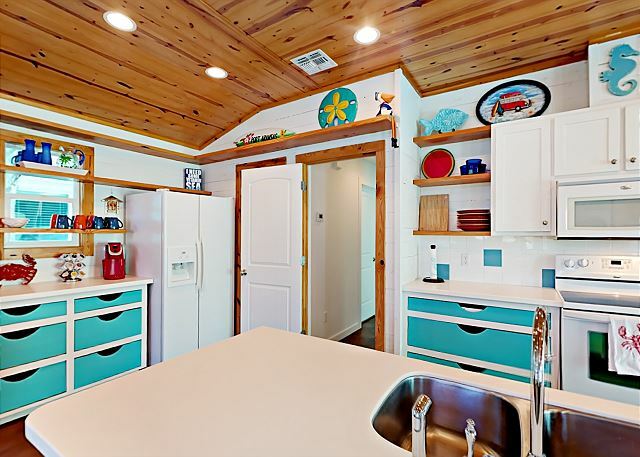 The fully stocked kitchen is the perfect place to prepare your freshly caught fish and shrimp. 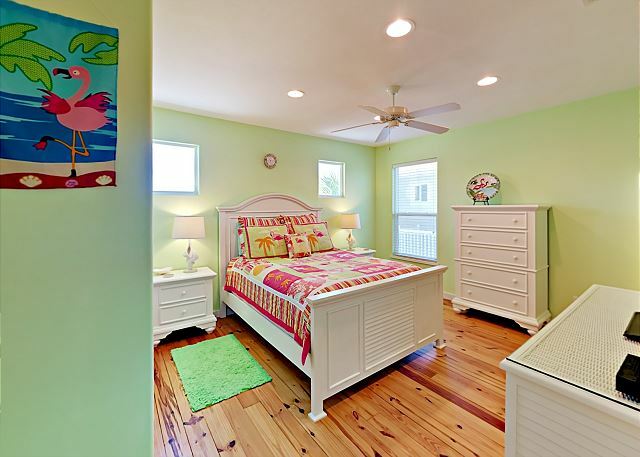 This ground floor also offers the master bedroom and private master bathroom and a half a bath for guest. Venture upstairs where you will find 2 bedrooms with queen beds, Additional sleeping area with flat-screen TV. 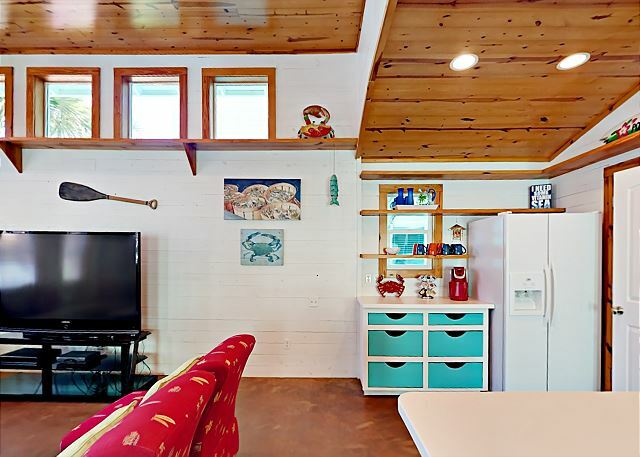 Vacation Rental Gem. There is Parking available for 2 vehicles. . Let one of our agents at Life In Paradise help you plan your perfect Vacation to the Texas Gulf Coast.